An indigenous Ship-owner, Capt. Emmanuel Iheanacho, has urged the newly-appointed Director-General of the Nigerian Maritime Administration and Safety Agency(NIMASA) Dr. Dakuku Perterside to dwell more on growing indigenous capacity for shipping. This is contained in a statement in Lagos by the Head of Corporate Affairs and Media Relations, Integrated Oil and Gas Ltd/Genesis Worldwide Shipping, Mr Enyeribe Anyanwu. Pledging support and setting agenda for the new director general, Capt. Iheanacho said the key expectation would be for the director general to judiciously use the Cabotage Vessel Financing Fund(CVFF) to grow the sector. “We welcome Mr Peterside to the office of the DG the Nigerian Maritime Administration and Safety Agency (NIMASA). He is a good man. “We hope his appointment would mark the beginning of a positive change in the focus and administrative interventions of the agency. 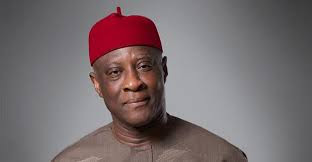 Iheanacho said the director general would need to properly understand the difference and distinction between the administrative responsibility for the safety of shipping and the security of the maritime environment. He said safety of shipping and its associated costs is a NIMASA function, while the security of the marine environment and its costs remains a Nigerian Navy responsibility. He also called for the need to refocus NIMASA to its core maritime industrial safety and local capacity development responsibilities, while simultaneously making an attempt to demilitarize the outlook and presentation of the agency.